Deguisa has the latest generation materials that form spinel alumina from the magnesia alumina that have been developed over the years and that have resulted in our range of high-tech materials. 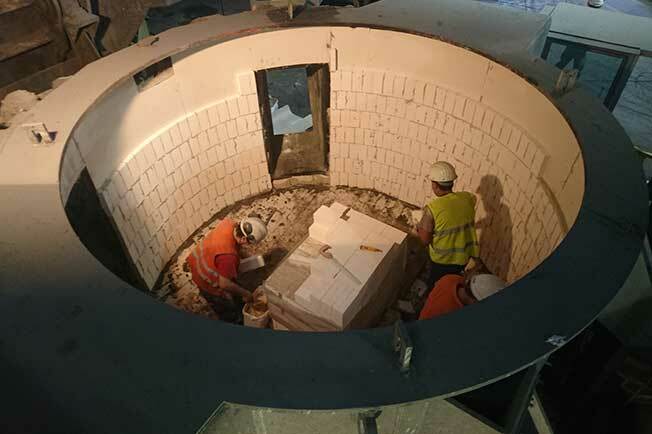 Deguisa offers a wide range of refractory products related to the induction furnace for its roof, spouts, bottoms and coils that obtain high yields. Deguisa supplies all types of shaped parts for induction furnaces, such as tap nits, thrust blocks or pan rings. Deguisa has a technical department to solve your problems. Preshaped parts ready for use and easy to install. Materials available for all type of alloys and temperature ranges. Speed, comfort and safety thanks to the drying of coils in our facilities. Do you need more information about Steel induction furnace materials or about other products or services? Send us your details and we will contact you.